Pricing $45, which includes a delicious 2 course meal. Bar services will be available. Murder on Record is the latest murder mystery from InsideOutside Theatre Company, set in London in 1976. As the city gears up for the Royal Variety Performance in searing heat, things are hotting up at Demon Records in Carnaby Street. 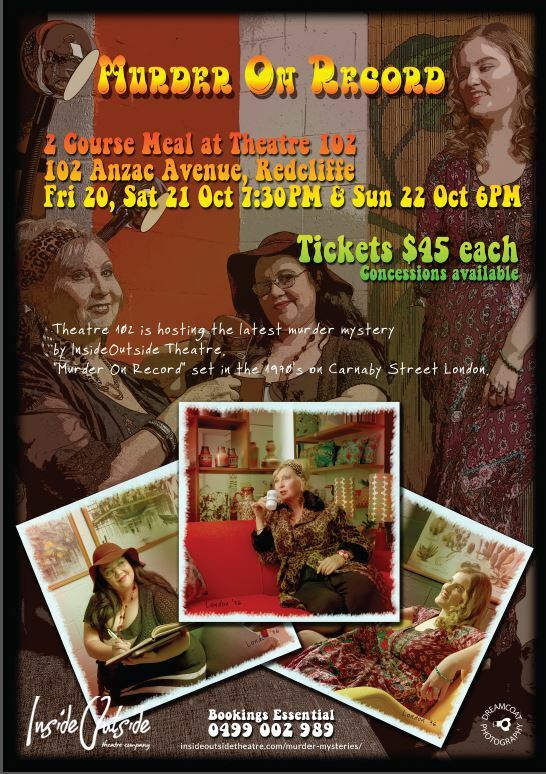 Partnering with Redcliffe Musical Theatre at their new venue on Anzac Avenue and Marconi Catering, this is an event you cannot miss.